UW-Green Bay Music will feature seven student musicians during its Student Honors Recital at 2 p.m. Saturday, Feb. 14 in Fort Howard Hall at the Weidner Center for the Performing Arts. It is free and open to the public. This is the 17th event of the 2014-15 season for UW-Green Bay, an accredited institutional member of the National Association of Schools of Music. For more information, visit www.uwgb.edu/music. This entry was posted in Events, News, News Releases and tagged Music, student honors recital, students on February 3, 2015 by Kelly Moore. A respected business and community leader has become the first-ever Executive-in-Residence for UW-Green Bay’s Austin E. Cofrin School of Business. Tim Weyenberg, past CEO and current Executive Chair of the Board of Directors for Foth Companies, is in the early stages of his tenure in the newly created role. He is working with University stakeholders to determine how he can be most effective, and will have a more consistent presence on campus — including regular office hours and more — come spring. Even in its formative stages, Weyenberg’s role — and his leadership — promises to make a difference, said Cofrin School of Business Director Lucy Arendt. Weyenberg spent 28 years with Foth, 16 as CEO, before retiring in March 2013. His extensive community involvement has included leadership roles with the New North, Greater Green Bay Community Foundation and Green Bay Area Chamber of Commerce. He received the 2013 Free Enterprise Award from the Rotary Club of Green Bay. At UW-Green Bay, he has been actively involved with the Business program, the Environmental Management and Business Institute (EMBI), Phuture Phoenix program and more. This next opportunity, Weyenberg said, is an exciting one. “When she (Arendt) explained what they were trying to accomplish, with enhancing the connection between the school of business and the business community,” Weyenberg said, “it seemed to me this role provided a huge opportunity to enhance that Cofrin School of Business vision of being knowledge-seekers in Northeastern Wisconsin. With new UW-Green Bay Chancellor Gary L. Miller stressing attention to innovation, entrepreneurship and partnerships, that work is likely to have high priority. Immediate tasks include establishing a Cofrin School of Business advisory board, a process with which Weyenberg will be deeply involved. He also will advise faculty on curriculum, work one-on-one with students, guest lecture and help with things such as mock interviews. And while Weyenberg definitely has ideas of what his executive residency may look like, he’s reaching out to students, faculty and others to help him further define the role. Made possible with funds from the University’s largest-ever academic gift — $5.5 million from Dr. David A. Cofrin — Weyenberg’s tenure will last one to two years. And while his business acumen is second to none, Arendt said, Weyenberg also will show students how to be a well-rounded and contributing member of a community — a message, she says, that is critical. “He’s not just somebody who has done well at work,” Arendt says. “Students sometimes, they get a lot of questions about what they’re going to be doing to make a living, and that sort of thing. For more information on the appointment of Weyenberg as Executive-in-Residence for the Cofrin School of Business. This entry was posted in Leading & Learning and tagged Cofrin School of Business, EMBI, executive-in-residence, Phuture Phoenix on February 3, 2015 by Kelly Moore. A well-respected business and community leader has become the first-ever Executive-in-Residence for UW-Green Bay’s Austin E. Cofrin School of Business. Tim Weyenberg, past CEO and current Executive Chair of the Board of Directors for Foth Companies, is in the early stages of his tenure in the newly created role. He is working with University stakeholders to determine how he can be most effective, and plans to have a more consistent presence on campus — including regular office hours and more — later this semester. Weyenberg’s role — and his leadership — promises to make a difference, said Cofrin School of Business Director Lucy Arendt. 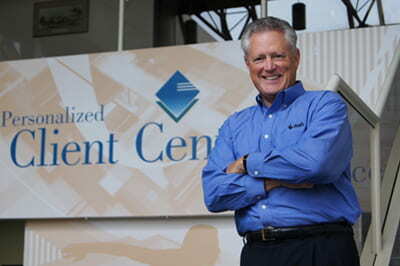 Weyenberg spent 28 years with Foth, 16 as CEO, before retiring in March 2013. His extensive community involvement has included leadership roles with the New North, Greater Green Bay Community Foundation and Green Bay Area Chamber of Commerce. At UW-Green Bay, he has been actively involved with the business program, the Environmental Management and Business Institute (EMBI), Phuture Phoenix program and more. This current opportunity, Weyenberg said, is an exciting one. 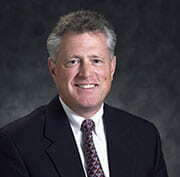 “When (Arendt) explained what they were trying to accomplish, with enhancing the connection between the School of Business and the business community,” Weyenberg said, “it seemed to me this role provided a huge opportunity to enhance that School of Business vision of being knowledge-seekers in Northeastern Wisconsin. Those tasks include establishing a Cofrin School of Business advisory board, a process with which Weyenberg will be deeply involved. He also will advise faculty on curriculum, work one-on-one with students, guest lecture and help with things like mock interviews. Made possible with funds from the University’s largest-ever academic gift — $5.5 million from the Cofrin family — Weyenberg’s tenure will last one to two years. And while his business acumen is second to none, Arendt said, Weyenberg also will show students how to be a well-rounded and contributing member of a community — a message, she says, that is critical. “What a tremendous role model for our students — he’s the whole package,” Arendt said. “He’s not just somebody who has done well at work. Students sometimes, they get a lot of questions about, what are they going to be doing to make a living, and that sort of thing. This entry was posted in News, News Releases and tagged Cofrin School of Business, community, executive-in-residence on February 3, 2015 by Kelly Moore. UW-Green Bay Education Outreach is presenting a full lineup of new and returning winter and spring Offerings for Educators, a variety of online and in-person courses designed to help teachers, administrators and other professionals obtain the practical education they need to apply theory and best practice to the classroom and school environment. Interested educators are encouraged to consider such courses as “Children and Poverty,” an offering that examines the issues of childhood poverty, homelessness and the effects thereof on the brain and learning. Educators will explore strategies for teaching students to be in charge of their own education and learn to develop a plan for addressing issues of poverty in their particular educational setting. Detailed course information, including syllabi and cost and registration details, is available online at www.uwgb.edu/educationoutreach. UW-Green Bay courses for educators align with Wisconsin standards for teacher and administrator development and licensure. Contact the Education Outreach Office with questions or for more information, at (800) 621-2313, (920) 465-2480 or educationoutreach@uwgb.edu. This entry was posted in News, News Releases and tagged Education Outreach, Offerings for Educators, Outreach and Adult Access on January 29, 2015 by Kelly Moore. This entry was posted in Media Coverage, News and tagged governor, UW System on January 28, 2015 by Kelly Moore. An accomplished UW-Green Bay alumnus will be the featured guest for Jazz Fest XLV, to be held Saturday, Feb. 7 on campus. Carl Allen is a noted jazz drummer who has performed with the likes of Sammy Davis Jr. and Branford Marsalis. A dedicated educator who has more than 200 recordings to his credit, Allen co-founded Big Apple Productions in 1988 and has produced recordings for notable artists and several Japanese labels. He will be joined during the Jazz Fest public concert — 4 p.m. in the Weidner Center’s Cofrin Family Hall — by a special group of UW-Green Bay all-star jazz alumni, directed by Jazz Fest founder Lovell Ives, as well as the University’s Jazz Ensemble. Six high schools from across Wisconsin will take part in the daylong educational and performance event. Our news release has additional information. This entry was posted in Events, News and tagged jazz fest on January 28, 2015 by Kelly Moore. UW-Green Bay’s Learning in Retirement program got some great airtime Tuesday (Jan. 27) during two morning segments on Local 5 Live. In the first, LIR President Frank Moon was joined by program art teacher Jim Briggs, who talked about and displayed works from his pencil drawing class. Moon was back in the second segment, this time with LIR horticulturists John and Liz Katalinich, who focused on a pruning course set for later this spring. Word has it that the LIR phone was ringing off the hook Tuesday afternoon. You can check out the Local 5 segments, here: segment one / segment two. This entry was posted in Media Coverage, News and tagged community, Learning In Retirement on January 28, 2015 by Kelly Moore. Tune in Friday (Jan. 30) to Fox 11’s Good Day Wisconsin, where Assistant Prof. Heather Herdman, Nursing, will be featured in live segments at 6:15, 7:45 and 8:45 a.m. Herdman will be interviewed on herbs, essential oils and foods to keep one healthy during the winter (evidence-based, of course!). She hopes the segments will generate interest in a course she is teaching on these topics for the nonprofit Bridge-Between Retreat Center in Denmark. That course, titled “Staying Healthy This Winter: Incorporating Aromatherapy and Herbs,” runs from 10 a.m.-1 p.m. Saturday, Feb. 7 — more information. Herdman is a Bridge-Between board member. This entry was posted in Faculty/Staff, Media Coverage, News and tagged faculty, Nursing on January 28, 2015 by Kelly Moore. And every Friday is Phoenix Friday. Celebrate the new semester with Phoenix Friday deep discounts at The Phoenix Bookstore. Stay warm the remaining part of winter with 20 percent off all winter hats, scarves, mittens and gloves all day Friday, Jan. 30. A’viands continues to offer a 10 percent discount on Fridays to anyone wearing Phoenix gear, so put on your new UWGB scarf or hat and take advantage! Keep up the Phoenix pride by cheering on the Green Bay Swimming and Diving team against UW-Milwaukee at the Kress Events Center at 1 p.m. Saturday (Jan. 31). Cheap Seats will also kick off for the semester this weekend, playing “The Best of Me” at 6:30 p.m. and 9:05 p.m. Friday, and throughout the weekend at the Christie Theatre. Go Phoenix. This entry was posted in Announcements, News and tagged faculty/staff, Phoenix Friday, students on January 28, 2015 by Kelly Moore. The first Natural and Applied Sciences Seminar for spring semester will take place Friday, Feb. 6 in Environmental Sciences 301. Naresh Rimal of the School of Medical and Applied Sciences at Australia’s Central Queensland University will present “Opportunistic Blending of the Grounded Theory and System Thinking in Food Security Inquiry” at 3 p.m. His talk will be followed by a 4 p.m. social in ES 317. Hope to see you there! This entry was posted in News and tagged CSET, NAS seminars, seminar on January 28, 2015 by Kelly Moore.